Short and sweet, here is an image that might inspire curiosity about the annual culture of Ano Viejo in Ecuador. He has an army of viejos waiting for more war paint! 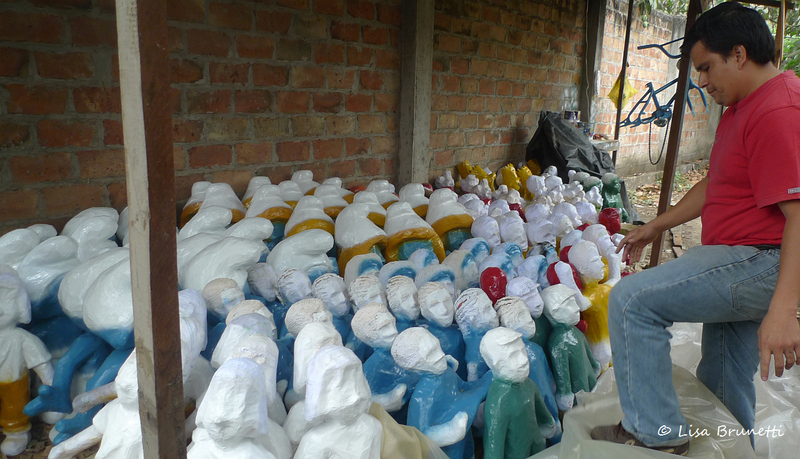 If you’re curious, follow this link to a post about the end of the year effigy burnings in Ecuador.